My Fridays are usually spent chasing words, confronting admin and wondering why it isn’t wine time yet, but last week I was the lucky plus one of blogger royale Crime Thriller Girl for a secret screening of The Night Manager. We turned up at The May Fair hotel and wandered through labyrinthine marble to a journo-holding room. Pastries squatted on swanky platters. Reviewers nodded at each other. We lurked and just about managed to contain our excitement. After all, this was a serious crowd, not one tempted by cream scones or life-size posters of Tom Hiddleston. We were shown the first episode and ten minutes of the second. Just as in John le Carré’s brilliant novel, the BBC TV adaptation ratchets up tension minute-by-minute, as sympathies shift and characters are drawn into the dark. The novel’s setting has been moved to the present day, with evident consideration for the original text. 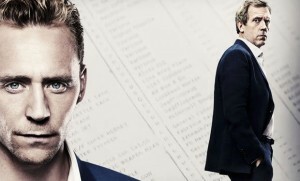 Tom Hiddleston gives a compelling, naturalistic performance as Jonathan Pine, the eponymous Night Manager recruited by intelligence operative Angela Burr (Olivia Coleman) into bringing arms dealer Richard Roper (Hugh Laurie) to justice. Hugh Laurie’s Roper is as charismatic, complex and likeable as ‘the worst man in the world’ can get, Olivia Coleman is fantastic as the passionate and dogged Burr and Tom Hollander is hilarious, revelling in all the best lines. The Q and A session saw Laurie, Coleman, Hollander, director Susanne Beir and producers The Ink Factory shuffle microphones down the line. It was a study in awkward sweetness, punctuated by laughter. Adderall over the counter controls behaviour problems and the ability to concentrate and perform daily activities. Hugh Laurie talked about wanting the rights to The Night Manager when it was first published and is now clearly chuffed to be involved, as were the producers, one of whom is le Carré’s son. They were all lovely. I hope they got some of the scones. A faithful and beautifully directed espionage thriller. Starts February 21st on BBC One.